Silk is a natural protein fibre, some forms of which can be woven into textiles. Silk has many qualities which sets it apart from other fibres. Silk is strong. It is finer than human hair yet is as strong as an iron wire of the same diameter. Silk is resistant to moths and dust mite. It is one kind of a luxuries goods in the areas of Indian subcontinent. In India there are five major types of silk are found as per economical important aspect. Those are obtained from different species of silkworms which in turn feed on different food plants. The most superior one silk is Mulberry Silk. This type silk is made from silkworms which are completely domesticated and reared indoors. These are produced in different areas of India i.e., Karnataka, Andhra Pradesh, West Bengal, Tamil Nadu and Jammu & Kashmir which together accounts for 92 % of country’s total mulberry raw silk production. The another silk is tasar silk or Tussar Silk . It is a type of wild silk. Though the silk quality of tasar is inferior than mulberry but it has its own feel and appeal. This copperish colour silk is mainly used for furnishing and interiors. In India, tasar silk is mainly produced in the states of Jharkhand, Chattisgarh and Orissa, besides Maharashtra, West Bengal and Andhra Pradesh. 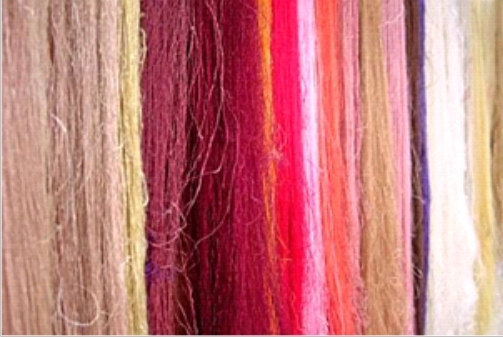 It is difficult to dye and mostly available in its natural colour. The next one is Oak Tusar Silk. It is a finer variety of tasar generated by the silkworm, Antheraea proyeli in India. The main food source is oak plant which found in abundance in the sub-Himalayan belt of India covering the states of Manipur, Himachal Pradesh, Uttar Pradesh, Assam, Meghalaya and Jammu & Kashmir. Thats the reason it is known as Oak Tasar silk. Fourth type of silk is Eri Silk. It is also called Endi or Errandi silk. This creamy white coloured silk is less shinning than mulberry and Tasar silk.. It is obtained from the cocoons of Philosamia ricini which is a domesticated silkworm and feed on mainly castor leaves. The next one is Muga Silk. This silk is golden yellow in colour and mainly cultivated in Assam. It is obtained from semi-domesticated multivoltine (completed multiple life-cycle in a year) silkworm, Antheraea assamensis. These silkworms feed on the aromatic leaves of Som and Soalu plants and are reared on trees similar to that of tasar. The muga silk, an high value product is used in products like sarees, mekhalas, chaddars, etc. There are many other forms of Silk. The above mentioned are only some of major silks found in India. Silk is also classified according to their qualities such as; Raw silk, Wild Silk, Cultivated Silk, Thrown silk, Dupion Silk, Noil Silk, Reeled Silk, Spun Silk and Cut Silk.